The fifth, and final, part of this summer's travels has begun. I'm sitting in seat 1L of an Airbus 330 on Finnair flight 52 from Beijing to Helsinki drinking a very pleasant glass of San Polo Brunello di Montalcino 2005 and looking out the window at the Gobi desert below and thinking how different it looks from 12,000m. Over the next eight hours I will retrace most of the 12,000km outward journey that took me eight weeks. The real difference between the outward and return legs of the journey isn't the speed, it is the experiences along the way. I feel oddly relaxed but I shouldn't be surprised since aeroplanes are a familiar environment. I have spent thousands of hours travelling millions of miles in them over the last three decades. 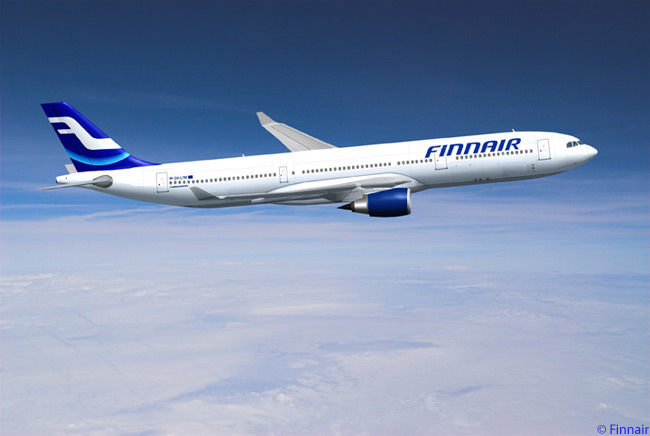 Today will be a long day, I was up at 05:30 (Beijing time) and will not finally stop until I've met up with my wife at Stockholm's Arlanda airport and arrived at our hotel which should be about 22 hours of travel time. However, when looking at the Beijing alternative I discovered that a 72 hour visa free option to visit was introduced this year to encourage passengers transferring at Beijing Capital International Airport to visit the city. Beijing has never been on my list of places to visit but the possibility of visiting for a short period while transferring airlines looked like too good an opportunity to pass up. So, a flight via Beijing is what I decided to do. I was a little apprehensive about being an early user of the scheme and things did not get off to a good start in Ulaanbatar. When I arrived at the airport to check in for the China Air leg into Beijing my not having a China visa caused my passport, e-tickets for the inbound and outbound flights and hotel booking to disappear for quite a while. After what what seemed likes ages but was in reality only about 20 minutes the documents all came back to the checkin desk and I was allowed to proceed. In Beijing the procedure was painless, the queue for 72 hour visa free immigration was very short and I was through in a couple of minutes. I needed to get some local currency but the rates at the airport were terrible plus they charged 60Yuan commission. With what now seemed like prescient foresight I was able to use some of the Yaun I had accepted as a shared taxi payment from someone who had spent all their Mongolian Tigrit. 25Yuan bought me a ticket on the airport express into town another 2Yuan a metro ticket. Once again I was having trouble finding my hotel and in desperation stopped at a small eatery -- Little Yunan -- to ask for some help. I was in luck, a couple of patrons looked at my hotel details and while one phoned the hotel for details the other looked it up on their phone. Sorted! I was only a couple of hundred metres away from it. The couple, Coco and Luke invited me to sit while they sorted this out for me and then invited my to have a beer with them which I gracefully accepted. 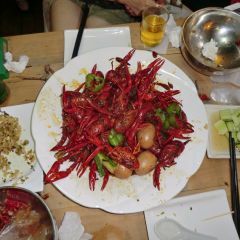 We talked, drank beer, they shared a huge bowl of spicy crayfish, more beer more talk. Three hours later I left for my hotel and they wouldn't let me buy a single drink. If Beijing ever needs any goodwill ambassadors, try Coco and Luke! My stopover allowed me two days in Beijing. On the first day I started off easy with a leisurely breakfast in my hotel, a wide selection of Chinese food with the addition of fried eggs and a mystery meat. A visit to the bank introduced me to a bureaucratic paper system which eventually resulted in me having enough cash to last me for my visit. My hotel, The Beijing Shatan Hotel, is very conveniently located less that 500m north of the Forbidden City so decide to strike while the iron is hot and set off for the Forbidden City. The North gate turns out to be the exit, while walking to the entrance at the south gate a thunderstorm breaks. I shelter for a while along the way and set off again when the rain abates. However, the rain soon restarts and by the time it get to the south entrance it is chucking it down again and there are thousands, and thousands of umbrellas with people attached waiting to enter. I do not like crowds, and I'm not too fond of rain either, so decided to give a visit to the Forbidden City a miss and return at opening the following day. 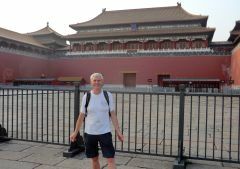 On the south side of the Forbidden City is Tiananmen Square, a vast area surrounded on all four sides by grand buildings. It too is packed with umbrellas! I give in and slowly wend my way back through The Exquisite Park, a long narrow park that runs runs north /south and which just happens to pass Little Yunan where I stop for a late lunch and a beer. My next outing is in better weather and I head for Jingshan Park which is on the north side of the Forbidden City. This is an atractive park in its own right but the hill also affords great views of the Forbidden City to the south as well as views to the north. This time I walk around with a New Zealand couple who are only in town for 24 hours and we get an unobstructed view of the south gate entrance 'cos it is closed. The crowds have got to me and I spend the rest of my time mooching around quieter areas, eating and drink at small establishments and finally getting my shaggy mop of hair cut before meeting Lyyn in two days time. The exit procedure at Beijing Capital International Airport is as simple as the entry procedure. Okay, so this is a pretty brief review of a major world capital city, but it is brief because I cannot say I liked the city very much. I'm glad that I only devoted 2 days of my life to visiting it. The highlight of the visit was meeting Coco and Luke.